If we have a theme, it’s INTEGRATION. With our integrated solar CRM added directly into our software, we are able to shave time and money from your overhead. How? 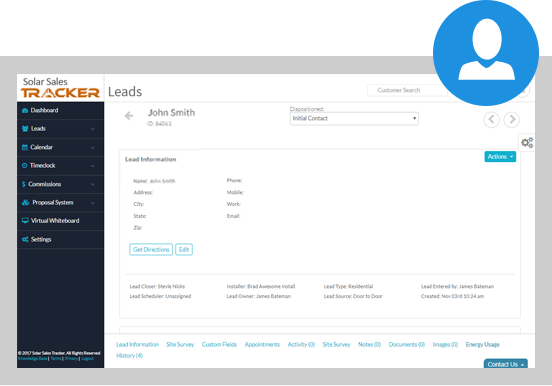 By eliminating the need to re-enter lead and customer information over and over again. This save time and money while simultaneously quelling human error and the need for extra staff. An integrated solar CRM should be smart, friendly and have a certain level of automation so you can get back to what you do best, selling and installing. We are also constantly improving our software so you always stay up-to-date on the latest developments.